Many brewers rely on websites, blogs, and social media to follow the latest craft beer trends. 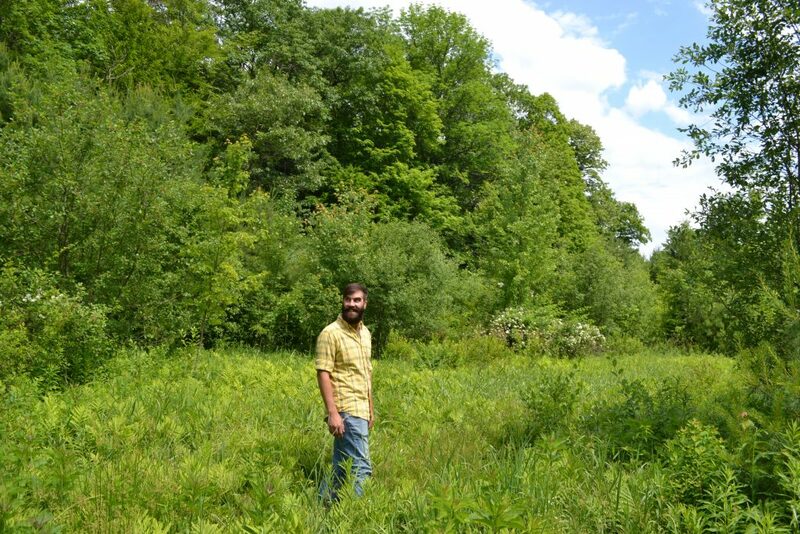 But lately Christophe Gagné, the bearded Vermont dweller who runs Hermit Thrush Brewing, seems more interested in following deer. 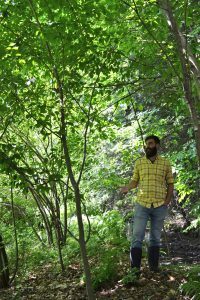 Yeast is the mutable fourth ingredient required to make beer — along with water, malt, and hops — and it’s a major reason the Hermit Thrush team has based their expanded operation on this land for the last year and a half. 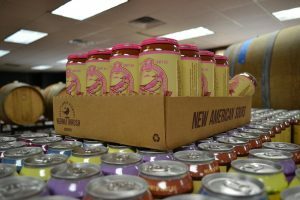 The property features a sizeable shipping and production facility formerly owned by Pepsi,which the brewery plans to grow into over the next few years. Hermit Thrush makes only sour beers. Some, like the popular Party Guy and Po Tweet recipes, are kettle sours made in stainless steel fermenters. 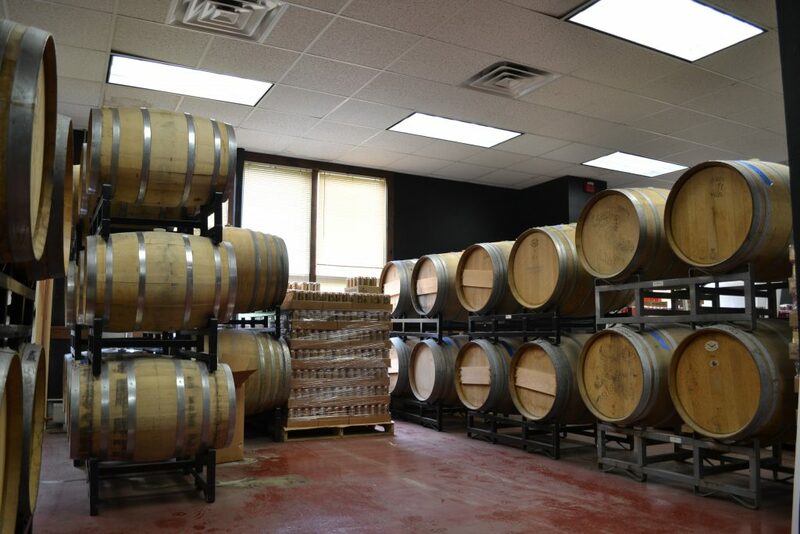 Far more of the brewery’s inventory are barrel sours aged in gin, rum, and wine barrels. 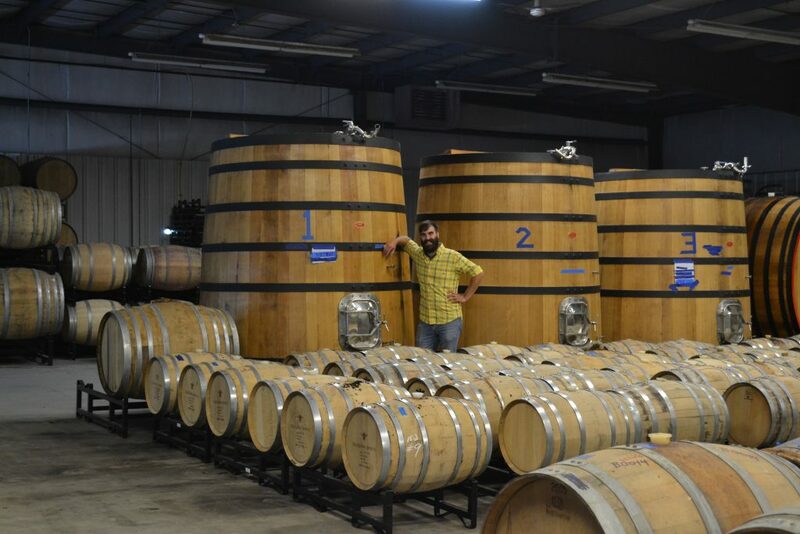 It’s impressive to walk through the new facility and see these barrels made of French, American, or Hungarian oak. Some are fairly small, but others can hold thousands of liters of liquid. 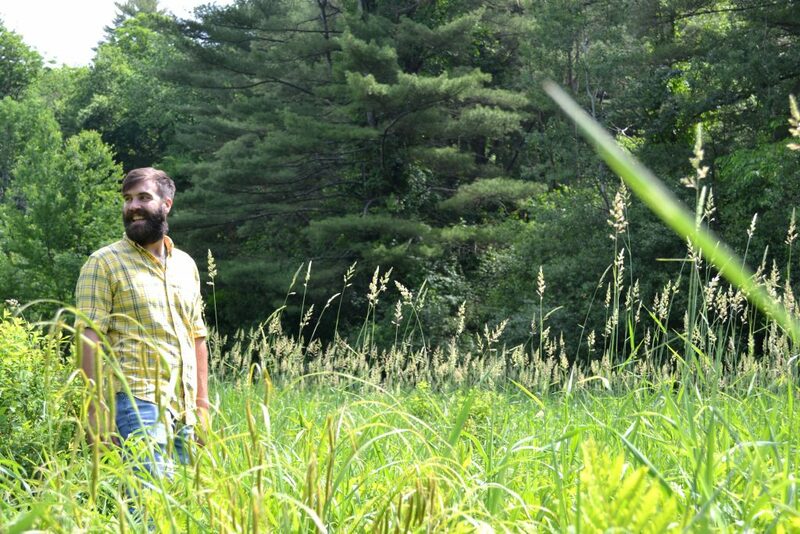 Based in Brattleboro, VT, Hermit Thrush Brewing makes only sour beers. 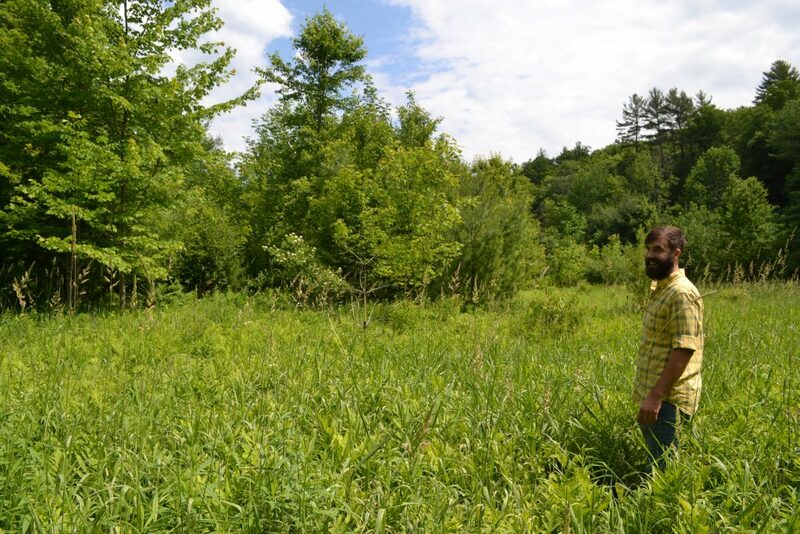 Christophe Gagné walks the brewery’s new property in Dummerston, VT, just outside of Brattleboro. 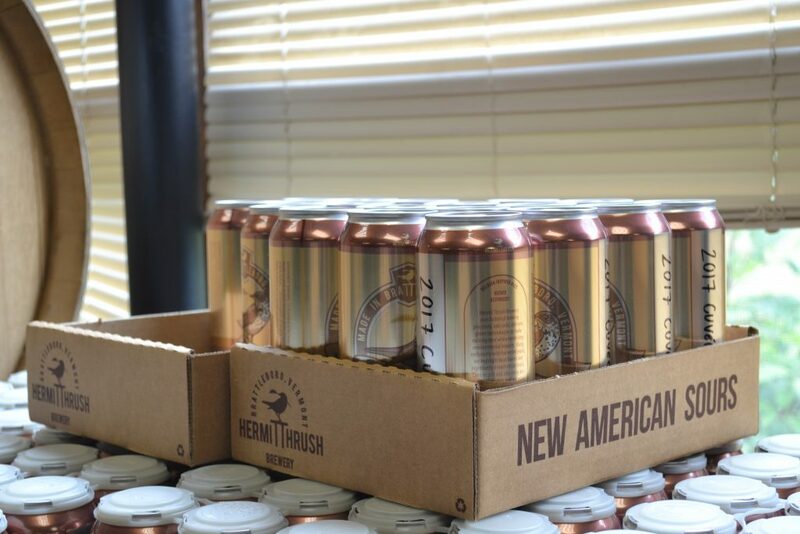 Hermit Thrush ships exclusively in cans, which costs less and uses less energy than distributing glass. Gagné is committed to passing that savings to the consumer. 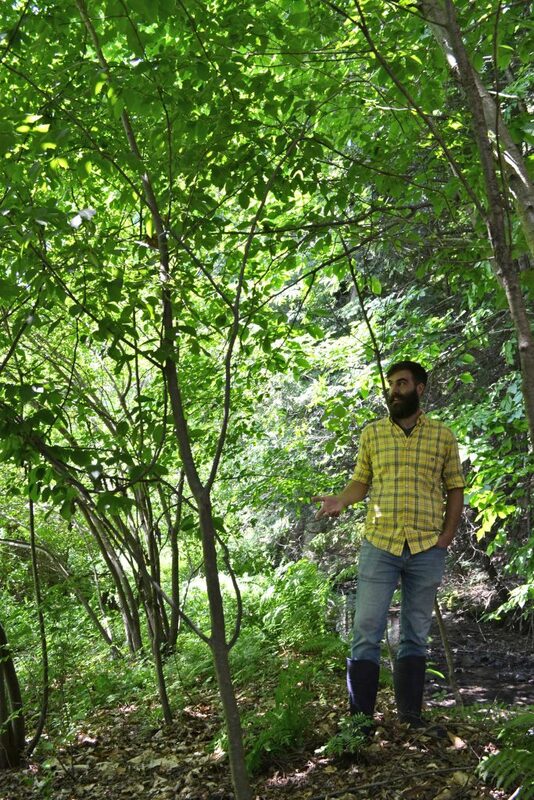 There’s a bigger, greener mission here too, since the brewhouse is fueled by with wood pellets, which largely cuts fossil fuels out of the equation. And the yeast, of course, is exclusively wild-harvested.